This compact, lightweight TV antenna features exeptional performance on all TV frequencies. Made of UV resistant, injection moulded nylon it will keep its white, mirror like finish for years. Like our other TV antennas, the V9125 has no active components in the antenna, which provides extra protection from atmospheric elements. The 12/24VDC power supply amplifier is totally screened. 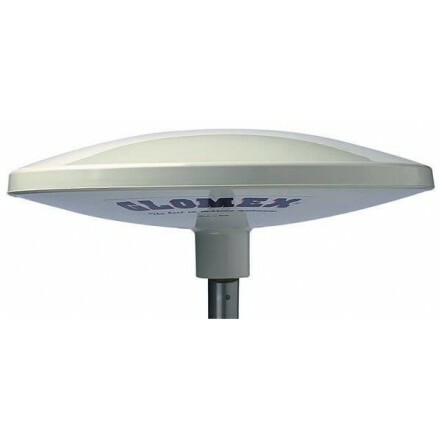 This allows the best reception of TV signals with less interference from shipboard electrical noise sources. Also, it allows to receive radio programs using the due accessories. Supplied complete with 12/24v Amplifier, 15 metres of Coaxial cable, and 1.5m Tv Cable.